The pound jumped nearly 1% after the governor of the Bank of England suggested that interest rates could rise if business investment grows. Sterling rose to $1.2936 against the dollar after Mark Carney said that "some removal of monetary stimulus is likely to become necessary". He said a change would depend on whether company investment could offset a slowdown in consumer spending. 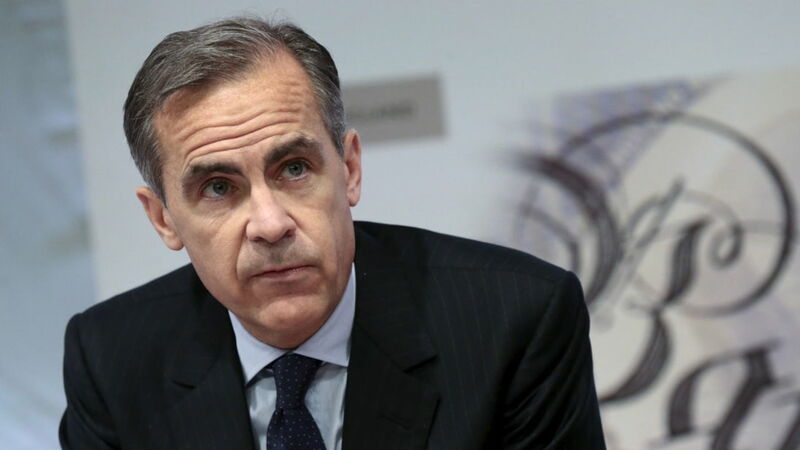 Mr Carney said it was an issue the Bank "will debate in the coming months". Last week, at the delayed Mansion House gathering in London, Mr Carney said that "now is not yet the time to begin" raising interest rates which remain at a record low of 0.25%. However, shortly afterwards, Bank of England chief economist Andy Haldane said he might vote for a rate rise before the end of the year. The Bank's Monetary Policy Committee (MPC) was split 5-3 to keep rates on hold at its June meeting. The rate of inflation is 2.9% - well above the Bank's target of 2%.